The average cost of a new vehicle in April 2015 was $33,560, according to USA Today. Unfortunately, most new vehicles depreciate in value by 20 percent after the first year. If you still owe money on a car loan but your vehicle was totaled in an accident, it is important that you learn the financial implications of your situation and take steps to protect your interests. Depending on the terms of your insurance policy, your insurer may pay the actual cash value of your vehicle; however, that amount is often much less than the remaining balance on an auto loan. Some drivers wind up paying monthly premiums and interest on a vehicle that is in the junkyard. If you would like to avoid this situation, contact The Troutman Law Office. Matt Troutman is a personal injury lawyer in Louisville who will evaluate your insurance policies and explain your options for recovering compensation. If you have guaranteed asset protection (GAP), this may kick in to cover the remaining balance on your auto loan. Matt Troutman has been a practicing personal injury lawyer since 1986. He has the knowledge, resources, and courtroom experience to help you fight for the maximum payout. Call to arrange a free initial consultation with a car accident attorney. As previously mentioned, GAP coverage is intended to pay any remaining balance on a vehicle lease or loan after it has been totaled. According to Allstate, having GAP coverage can save you thousands if the insurance company’s claim check is too low to cover what you owe. If you are purchasing a new vehicle, you should consider purchasing new car replacement coverage. As its name implies, NCR will replace your vehicle with one of the same model, make, and accessories. Some NCR policies have limitations on the types of models or dollar amount available. 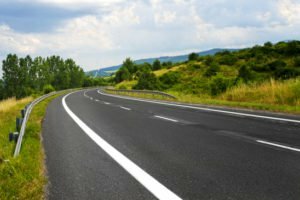 What Is the Minimum Requirement for Auto Insurance in Kentucky? $10,000 for personal injury protection. Unfortunately, these limits are often not enough to pay for the damages caused in an accident. If you were injured by an uninsured or underinsured driver, or if you believe the insurance company has undervalued your claim, contact The Troutman Law Office. As your car accident attorney in Louisville, Matt Troutman will help you avoid costly mistakes such as making recorded statements to insurance adjusters, overlooking certain damages, or accepting a settlement too early. Call today to arrange a consultation. 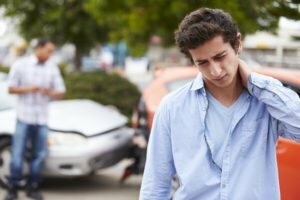 You can learn more about car accident injury claims in Kentucky by visiting the USAttorneys website.